A special All-Day event that will include mentoring, workshops, keynote speakers and will conclude with the screening of short films. An all-day event that will include mentoring, workshops, keynote speakers and will conclude with the screening of short films. This gathering will provide the much-needed opportunity for attendees to network with like-minded filmmakers and creatives. The event targets students through to career professionals, anyone who is committed to taking part in the conversation on B.A.M.E participation and representation in the film industry. The desire is for the event to be the first of many in Bristol’s cultural calendar. Bristol does not have many or enough B.A.M.E film nights / events; we are shaping this to be a regular event for Bristol. To increase diversity, we need to look at different models for engaging, targeting and coaching BAMEs in how to get into the film and TV industry; at varying levels and across various roles. 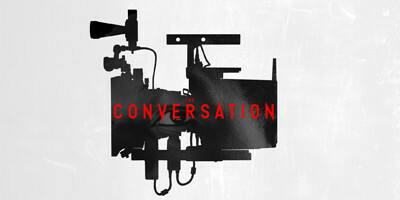 The Conversation is an event that bridges the gap. It opens up access to seasoned professionals who will be able to share experience, advice and guidance on operating in the film industry. The event will fill the void that exists currently by providing a window into what can be perceived as an exclusive industry. Jordan is currently the sports reporter for Channel 4 News, reporting on a broad spectrum of major sports stories & events. He was a reporter and presenter for Channel 4’s award-winning coverage of the 2012 and 2016 Paralympic Games, reporting on the Wheelchair Basketball. He’s also the creator and host of YouTube show It’s All Blakademik - debate show that stimulates debate with Black panelists and academics..
Daniel Alexander is an award winning Director/Filmmaker and BAFTA Crew member from the UK. Daniel also sits on the board of Screen Central (previously the Producers' Forum) and frequently delivers creative development programmes with collaborators including BFI, Creative England & BBC Academy. joins BFI NETWORK from British Council’s Film team, where she has been working as Film Programme Manager for the past year.During her time with British Council, Alice managed the short film and new talent support offer. has worked in the film industry for 15 years primarily as a Curator, Audience Development Specialist and Author. She specialises in Nigerian Cinema and coined the term BEYOND NOLLYWOOD to refer to art house, experimental, animation, documentary, shorts and music videos from Nigeria and its diaspora. She formally entered the industry curating a monthly film club at the Institute of Contemporary Arts. Passionate about telling stories, Kam is a screenwriter and script editor based in Bristol and writes screenplays that focus on giving voice to the outsiders and marginalised of society. Kam also teaches on the undergraduate film course at UWE and is part of Rising’s mentoring scheme. Rebecca Goff is a Freelance Filmmaker, multi-skilled Producer/Director and BBC- trained Studio Director. Her skill set includes location film directing; vision mixer; Avid-certified Instructor; & script writing. She has worked on news & current affairs; arts, entertainment and drama programmes for companies including BBC Television and ITN News. In 2018, she completed the NFTS Directors’ Series training. is a Bristol-based filmmaker and founder of online media platform, MANDEM (mandemhood.com). He graduated from UWE in the summer of 2018 with a BA Filmmaking degree and is currently studying an MA in History at the University of Bristol. Elias’ work for MANDEM includes providing a space for young men of colour to express themselves through writing, film and music, and has also included hosting panel-led discussions about topical issues around race, class and gender. Bashart has worked in commercials, music videos and features for over 15 years and developed a passion for crafting imaginative visuals using narrative and light. Bashart is currently working with award-winning poet and activist Lawrence Hoo and producer Zaheer Mamon on I Am Judah - a drama/documentary about Bristol Rastafarian community elder Judah Adunbi who was tasered in the face by police while walking his dog in Easton in 2017. Rachel has been a Producer in Bristol for the last 15 years and has a strong background in making TV documentaries and docu-dramas as well as award-winning short films which have had success in festivals in the UK and internationally. More info and schedules to be released soon.